Gastroesophageal reflux disease is a chronic condition in which stomach acid climbs back up your throat. Heartburn is the primary symptom of this condition. When a person experiences the symptoms of this ailment regularly, only then it can be said that he may be a victim of GERD. Occasional episodes of this condition are termed gastroesophageal reflux, GER. Therefore, GERD is a long-term condition that causes acid reflux and may also result in tissue damage. In GERD, severe acid reflux is experienced at least once a week. The acid reflux that occurs due to GERD may damage the lining of the esophagus. Some symptoms of the disease include heartburn, chest pain, problems in swallowing, respiratory problems, bad breath, and decay. For those who experience GERD at night, they may also have asthma, chronic cough, and sleep disruption as symptoms. Heartburn is the most common symptom of this acid reflux causing disease. It is a form of indigestion which causes a burning sensation in the chest due to the acid traveling back up the esophagus. There are other illnesses as well that may have acid reflux as a symptom. If left untreated GERD can also trigger other health concerns. This is because acid regurgitation damages the lining of the esophagus. Complications include esophagitis which is the inflammation of the gullet, esophageal stricture which is the narrowing down of the gullet, and Barrett’s esophagus a serious condition in which the esophageal cells can alter and become like the intestinal cells. Barrett’s esophagus can also evolve into cancer while esophageal stricture causes swallowing difficulties. One may also develop respiratory problems as the stomach acid goes into the lungs. These include asthma, laryngitis, chest congestion, and pneumonia. For certain people, medications are enough to treat gastroesophageal reflux disease however others may require surgery. Prescription meds are likely to come with adverse side effects such as diarrhea, constipation, anxiety, etc. As for surgery, in case medication doesn’t show any improvement, fundoplication or endoscopic procedures may need to be carried out for treatment. There are some lifestyle changes as well that can be of help in warding off acid reflux attacks. One can quit smoking, and overeating for noticing a difference. If he is overweight, he can try and lose weight. Eating at proper times, 2 to 3 hours before heading to bed can also help. Certain foods may trigger GERD. One can avoid these to be able to reduce the symptoms. These foods include spicy foods, greasy foods, chocolate, coffee, alcohol, etc. 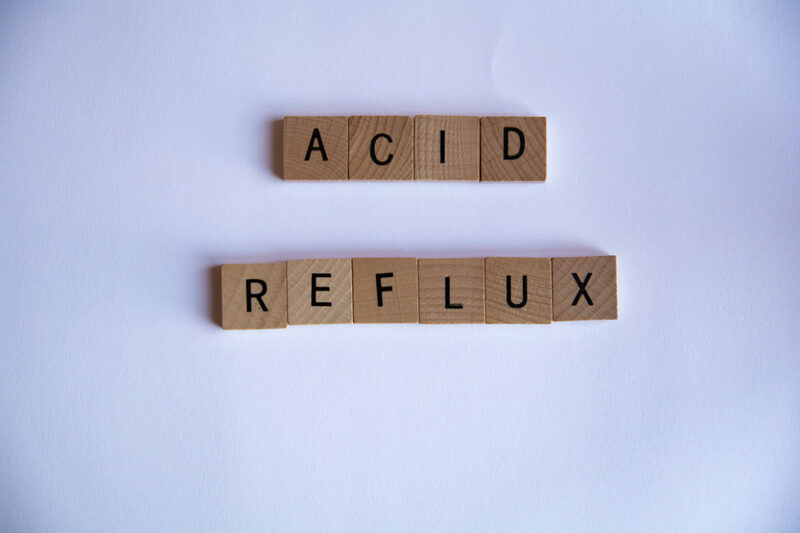 Gastroesophageal reflux disease, known as GERD in short, is the repetitive occurrence of acid reflux along with heartburn and other symptoms once or twice each week. One can use medications or go for surgery to treat the problem. Some lifestyle changes may be able to help as well. Left untreated, it can cause many other complications.